Summer is just starting, and you and your sweetheart need to get ready for the new season. This weekend, go on a wine-tasting adventure to embrace the fresh warm weather. 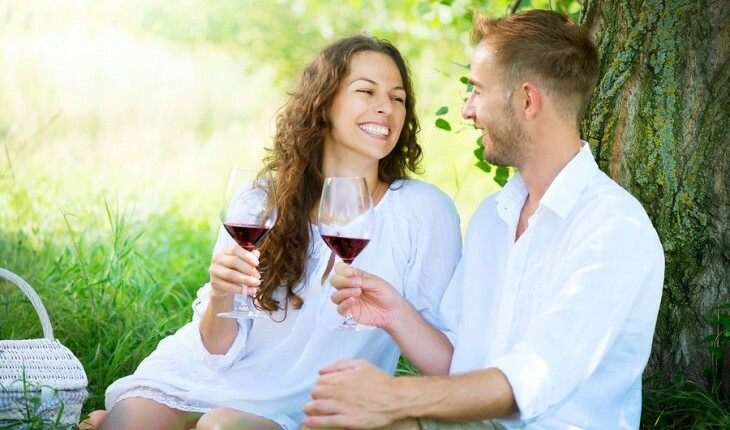 You and your love can find a new favorite wine while exploring a beautiful vineyard nearby. If you’re looking for a romantic way to have some fun, this weekend date idea is ideal for you and your love. First, you and your sweetheart need to decide which wines you will be trying this weekend. Narrow down your wine preferences to a specific kind of wine you want to taste. Do you only like reds? Limit the weekend to cabernets, merlots and pinot noirs. Or spend the weekend comparing whites and reds. A “pinot-only” date will allow you to taste different pinot noirs and pinot gris that are made in your area. Next, search online for wineries or vineyards in the area that offer the wines you’ve picked and plan to travel to a couple of them throughout the day. You and your partner can even arrange a town car or limo to drive you around, so you don’t have to worry about limiting how much you drink. Plus, it’ll give you a sense of luxury and a chance to cuddle up on the ride. At the vineyard, it’s important to keep sharing opinions with your significant other. You can pick a wine that the two of you are crazy about and buy two bottles to take home with you. The first bottle can be shared that night, and you can reserve the second for a future anniversary or romantic date. After the wine-tasting fun is done, head back to your place and enjoy a romantic meal together. Skip out on the cooking for the night and indulge in a take-out meal from a nearby Italian restaurant. Make sure your wine suits your meal by using a wine pairing chart. The rule of thumb here is that darker meats belong with darker wines and lighter meats stick with lighter wines. You can even try a wine-based dessert, like a strawberry and wine sorbet, that will cleanse your palate and provide the perfect ending to a perfect day. Have any great wine-based date ideas? Share them in the comments below.